Contact Kayla Vice at kayla@smdra.com if you have any questions. PRESENTATION: Downtown Denver – What’s Next? 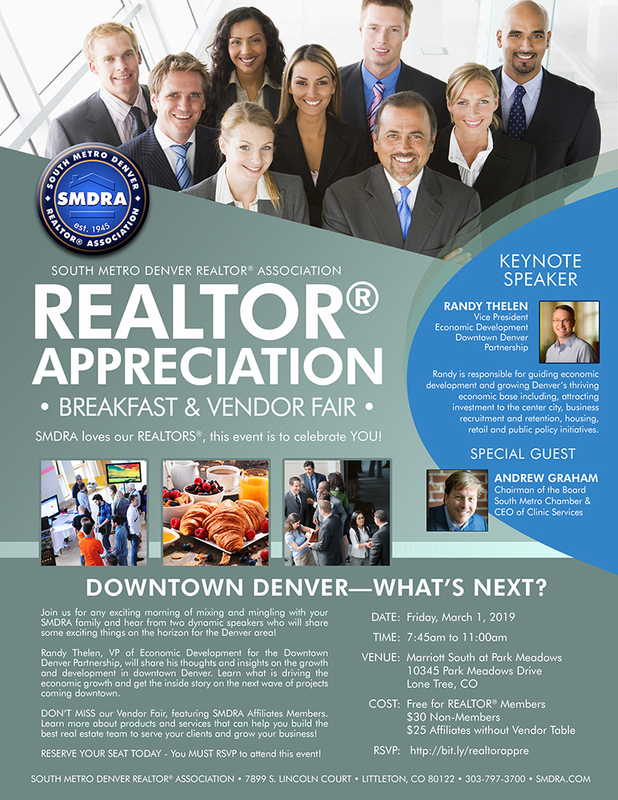 Join us for any exciting morning of mixing and mingling with your SMDRA family and hear from two dynamic speakers who will share some exciting things on the horizon for the Denver area! Randy Thelen, VP of Economic Development for the Downtown Denver Partnership, will share his thoughts and insights on the growth and development in downtown Denver. Learn what is driving the economic growth and get the inside story on the next wave of projects coming downtown. DON’T MISS our Vendor Fair, featuring SMDRA Affiliates Members. Learn more about products and services that can help you build the best real estate team to serve your clients and grow your business! Contact Kayla Vice at kayla@smdra.com if you have any questions or would like to reserve your Vendor Fair Table. VENDOR FAIR TABLE RESERVATIONS/PAYMENT – DUE FEBRUARY 1ST! 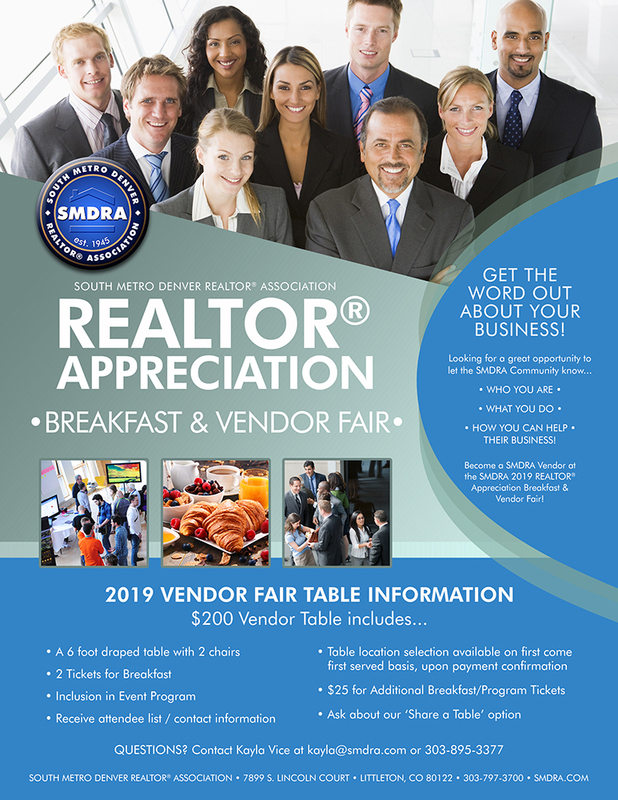 We are currently accepting reservations for Vendor Tables at the upcoming SMDRA REALTOR Appreciation Breakfast and Vendor Fair!